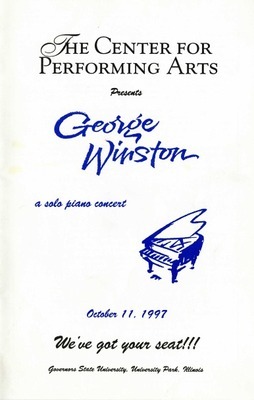 Brochure and promotional material for multiple shows during the 2002-2003 season. 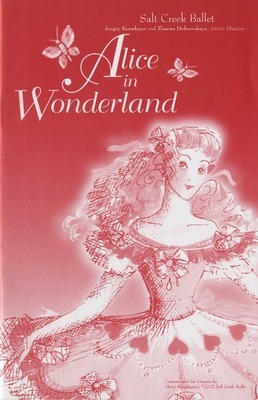 Program from the May 3, 2003 performance of Alice in Wonderland by Salt Creek Ballet. 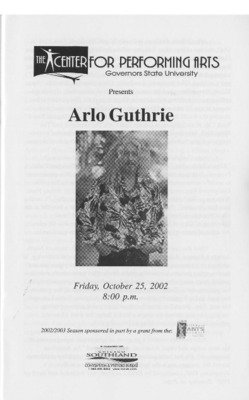 Playbill insert for the October 25, 2002 performance by Arlo Guthrie. 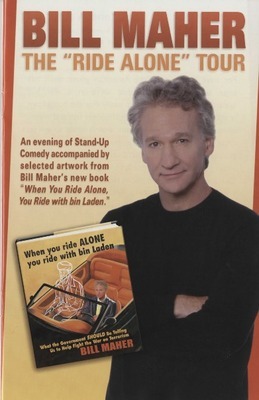 Playbill insert for the November 16, 2002 performance by Bill Maher. 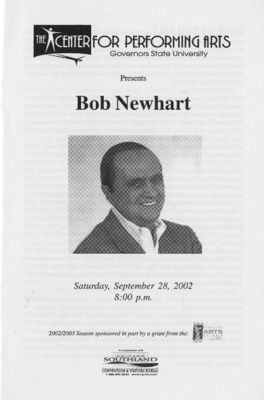 Playbill insert for the September 28, 2002 performance by Bob Newhart. 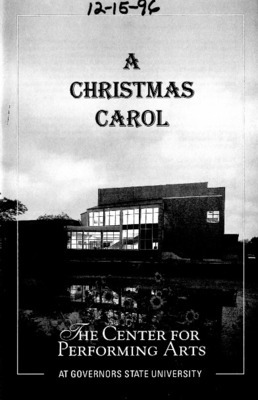 Playbill insert for the December 15, 1996 performance by Nebraska Theatre Caravan, student activity guide for the December 6, 2002 performance, and program for the December 7, 2008 performance by Theatreworks USA of A Christmas Carol. 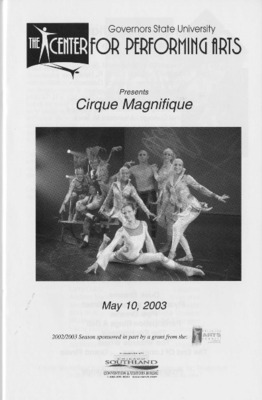 Playbill insert for the May 10, 2003 performance by Cirque Magnifique. 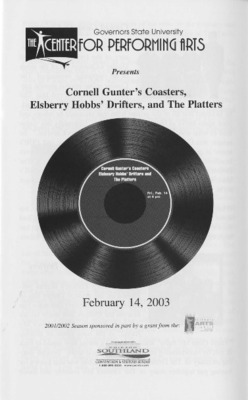 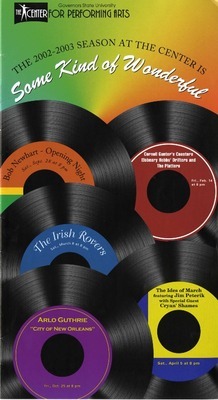 Playbill insert for the February 14, 2003 performance by Cornell Gunter's Coasters, Elsberry Hobbs' Drifters, and The Platters. 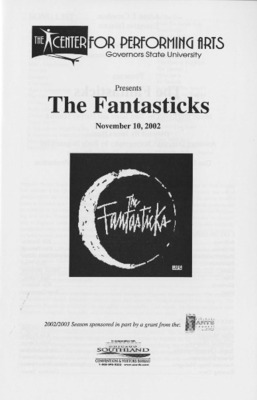 Playbill insert for the November 10, 2002 performance of The Fantasticks by Pegasus Players. 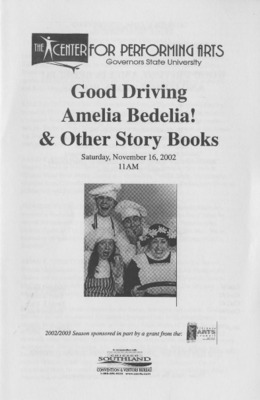 Program for the November 16, 2002 performance of Good Driving Amelia Bedelia! 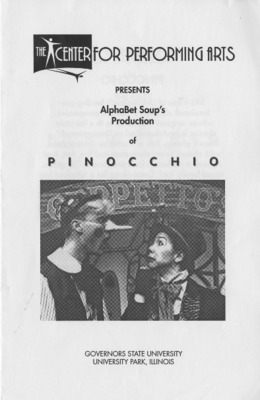 & Other Story Books by Story Salad Productions. 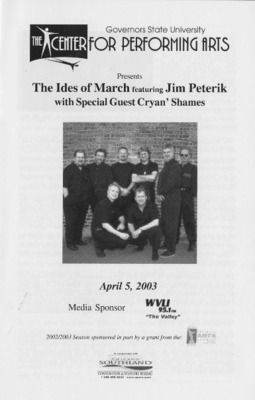 Playbill insert for the April 5, 2003 performance by The Ides of March featuring Jim Peterik with special guest Cryan' Shames. 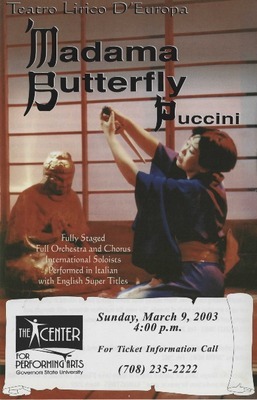 Promotional material and playbill insert for the March 9, 2003 performance of Madama Butterfly by Teatro Lirico D'Europa. 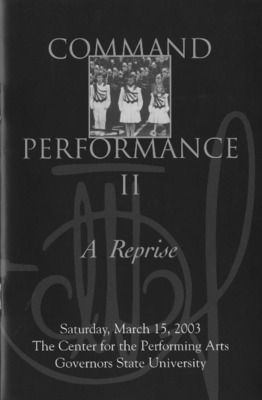 Program for the March 15, 2003 performance by the Marian Catholic High School Band at Governors State University's Center for Performing Arts. 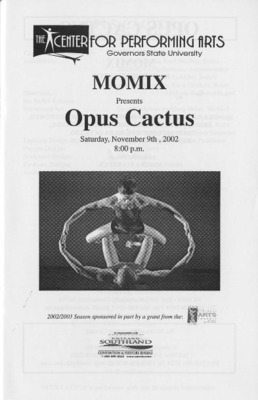 Playbill insert for the November 9, 2002 performance of Opus Cactus by MOMIX. 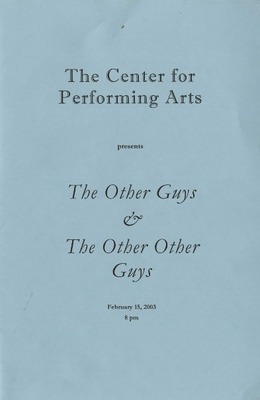 Program from the February 15, 2003 performance by The Other Guys & The Other Other Guys. 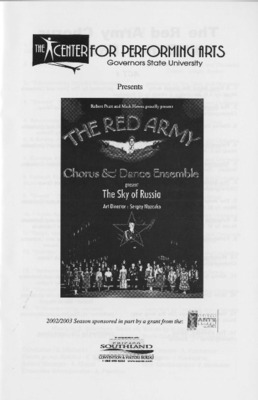 Playbill insert for the October 5, 2002 performance by The Red Army Chorus & Dance Ensemble. 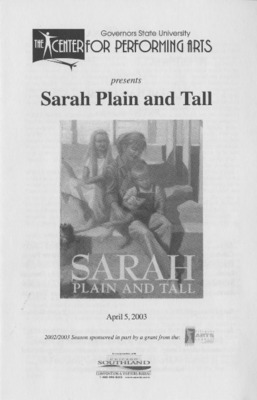 Playbill insert for the April 5, 2003 performance of Sarah Plain and Tall by Theatreworks/USA.